Book a flight + hotel package of $1,500 or more to Mexico or the Caribbean, and save up to $150 when you use the promo code WARMPLACES at the time of booking. * Plus, take advantage of additional hotel savings below. Save $100 on packages of $1,500 – $2,999. Save $150 on packages of $3,000 or more. Reduced children's rates offer is valid for up to two children per room. Room upgrades and children's rates blackout dates: 5/1/19 – 8/4/19. Option to purchase a $50 spa voucher for just $20.19 at your hotel. Room upgrades blackout dates: 5/1/19 – 8/4/19. RiuLand kid's club and baby pool. RiuLand kids club and playground. Beachfront hotel with amazing view of the famous "El Arco" rock formation, a destination icon and favorite spot for weddings. This inviting beachfront resort can be found amidst lush tropical gardens and a spectacular beach. Hotel offer is valid in Limited View, Garden View, Partial Ocean View, or Premium Ocean View room categories. Not combinable with other offers, except breakfast add-ons. Hotel offer blackout dates: 1/30/19 – 2/10/19, 3/1/19 – 3/6/19, and 4/17/19 – 4/21/19. State of the art amenities will help you rest easily along with the Sheraton Signature Sleep Experience for great comfort. *Up to $150 per reservation promotion code savings apply on flight + hotel vacation packages of $1,500 or more to Mexico or the Caribbean. Save $100 on packages totaling $1,500 – $2,999. Save $150 on packages totaling $3,000 or more. Savings is reflected in the package price when using promotion code WARMPLACES at the time of booking and is based on total package price before discount is applied. Length of stay for flight and hotel components must match. Promotion code intended for redemption by individual consumer only. One-day advance purchase is required. Savings valid if booked 1/29/19 – 2/11/19 by 6:00 p.m. CT for travel 1/30/19 – 8/4/19. 1Select room categories give you the option of booking an upgraded room category at a reduced rate. When booking your vacation, look for the reduced upgrade messaging with your room selection to reserve your upgraded room and save. Offer is based on room availability at time of booking. 2Limit of two spa vouchers may be purchased per room, per stay, at your hotel. Additional purchase and redemption details may be provided at hotel check-in upon request. 3Instant savings value at these resorts varies depending on length of stay. Riu Palace Peninsula and Riu Palace Cabo San Lucas: Stay three or four nights and get $150 in instant savings. Stay five or six nights and get $225 in instant savings. Stay seven nights or more and get $300 in instant savings. Three-night minimum stay required. 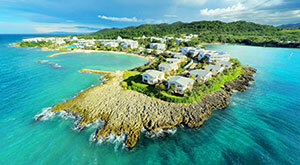 Riu Bambu: Stay three or four nights and get $100 in instant savings. Stay five or six nights and get $150 in instant savings. Stay seven nights or more and get $200 in instant savings. Three-night minimum stay required. 4$35 spa coupon can be applied towards the purchase of an 80 minute Renova Combination massage. Offer is valid per adult, per stay. 5Resort coupons are issued for limited discounts on select amenities including spa services, wedding packages, and more. Four-night minimum stay required. Savings require purchase and balance of the remaining amount will be paid directly to the hotel. Resort coupons will be subject to 16% taxes and fees for amounts redeemed. These coupons are issued per room, valid for guests 21 years of age or older, are non-transferable, and any remaining credit is forfeited at the end of the stay. This promotion is subject to availability and can change without previous notice. Some restrictions apply. 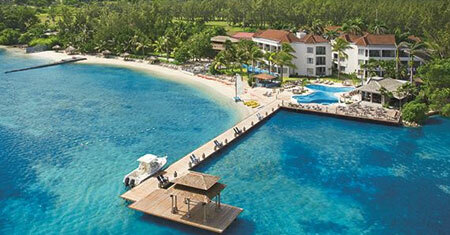 Riu Bambu: Stay four to six nights and get up to $1,335 in resort coupons. Stay seven nights or more and get up to $2,190 in resort coupons. 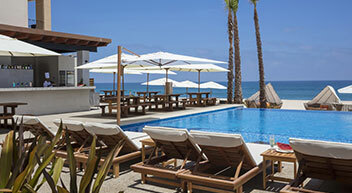 Riu Palace Cabo San Lucas: Stay four to six nights and get up to $640 in resort coupons. Stay seven nights or more and get up to $740 in resort coupons. 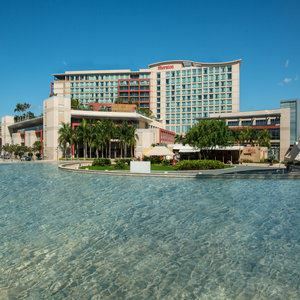 6Resort coupons are issued for limited discounts on select amenities not traditionally included in the package such as spa services, tours, upgraded dining experiences, and more. Purchases may be required to take advantage of some of these offers and balance of the remaining amount will be paid directly to the hotel. Additional details will be provided upon hotel check-in. Resort coupons cannot be exchanged for cash. There is no cash reimbursement if unused. The resort coupons offer is not combinable with other credits, coupons, discounts, or promotions unless specifically indicated. Resort coupons are not transferrable, non-cumulative, and cannot be held over for future stays. Promotion, prices, and applicable services are subject to change without prior notice. Three-night minimum stay required.